Seriously you don’t need to buy hot chocolate mixes that are expensive, full of dairy and more highly processed sugars than you need. By using a small amount of fresh herbs or fruit skins, some pure cocoa and your favourite plant based milk you can achieve the most incredible and fragrant results. 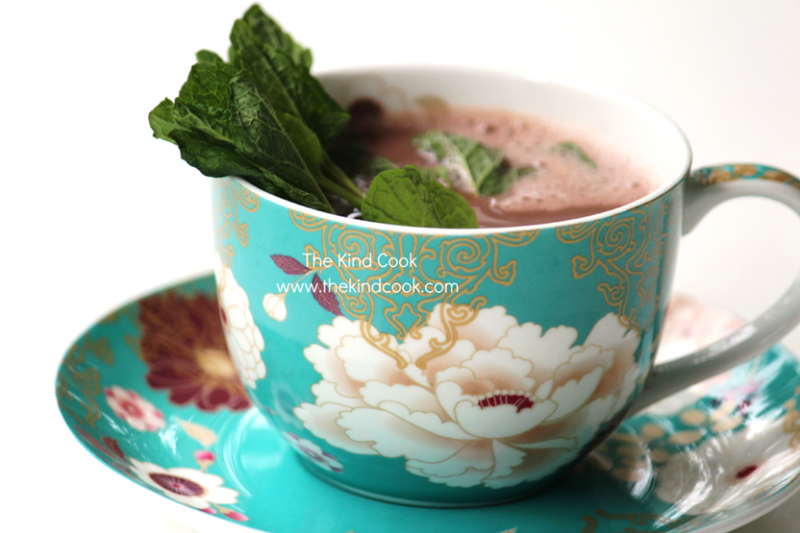 So next time friends drop over instead of just boiling the kettle and grabbing a can from the pantry go old school and heat some milk on the stove loaded with fresh mint and pour your work into a beautiful tea cup or mug. There is way more soul in that my friends. Place all the ingredients into a small pot and very slowly and gently bring the milk to the boil. You want to allow the mint time to infuse into the milk.